Special WaterShed®/CutLess® formulation resists spills, protects from rain damage and reduces the risk of paper cuts. 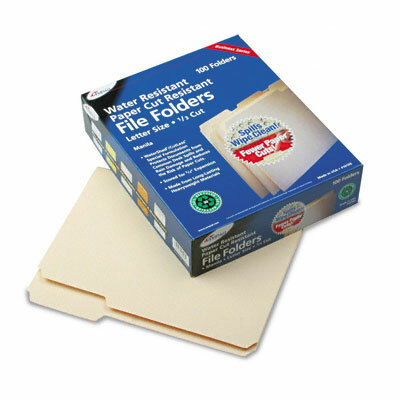 Protect documents—and fingertips! Special WaterShed®/CutLess® formulation resists spills, protects from rain damage and reduces the risk of paper cuts. Letter size; 1/3 cut tabs in assorted positions. 11 pt stock.